Your guests will have a great time taking silly photos with these fun props! Make fun memorable photos! We own the copyright of these unicorn photo props.Any one copy or imitate it for commercial use without being authorized might constitute infringement. 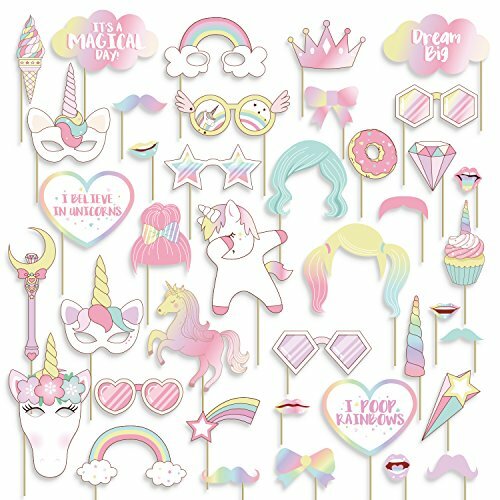 40 Unicorn Photo Booth Props ,40 Wooden Dowels and 80 Clear Stickers are included in the photo booth prop kit. If you have any questions about this product by Geefuun, contact us by completing and submitting the form below. If you are looking for a specif part number, please include it with your message.